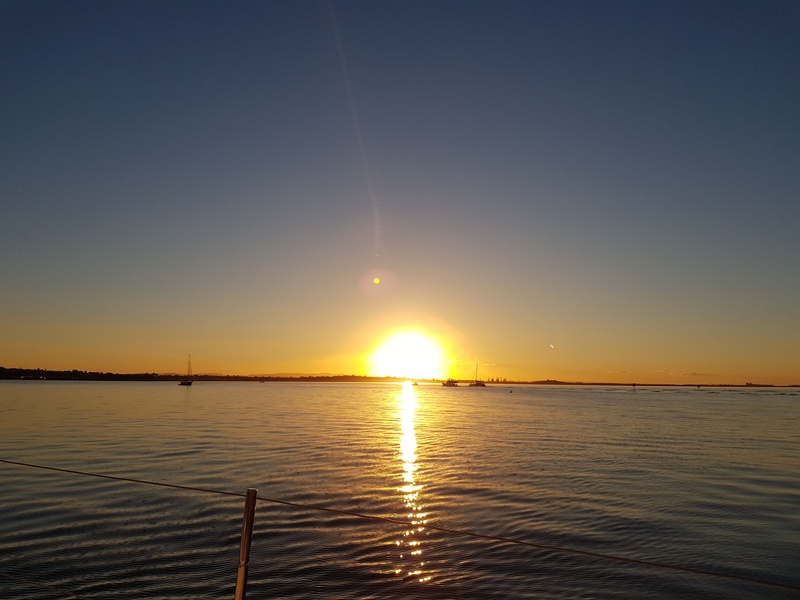 Sunset on Moreton Bay... why would you want to be anywhere else? Serenity and a glorious sunset await as the yacht 'Iceberg' glides out of Manly Harbour towards the bay islands. 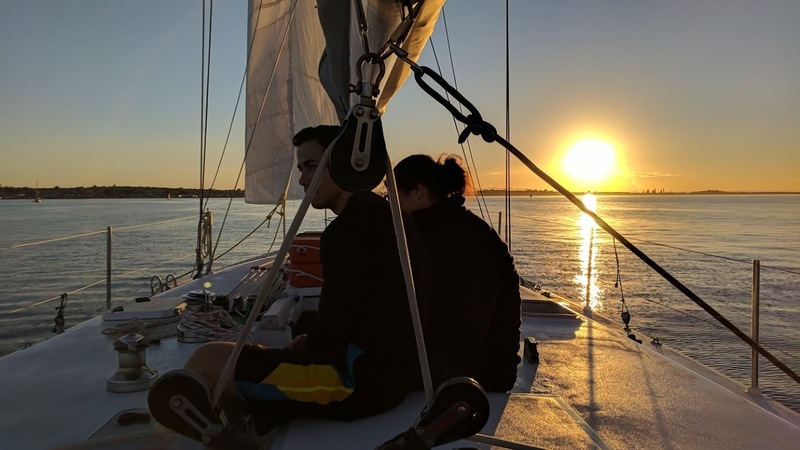 Cathie and Pete, passionate owners of Second Wind Sailing, steer 'Iceberg' - a veteran of the Sydney to Hobart - across the waters of Moreton Bay on their regular sunset cruises. 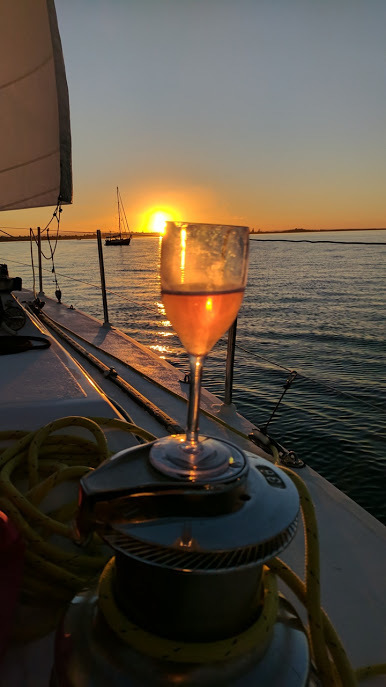 The hour-long sail is ample time to watch the sun dip behind the mainland leaving a golden reflection on the tranquil waters. Watching the sun setting over water is a rare treat living in Brisbane and is one to savour. A glass of bubbles, beer, cider or non-alcoholic beverage of your choice is offered at the moment the sun is about to dip beyond the horizon. Sunset cruises run most weeks from the William Gunn Jetty on Manly Harbour marina adjacent to the Tide Wine Bar, a great spot for pre or post cruise drinks or a meal. The cruises are great value at just $29 pp. Second Wind Sailing offer several cruise options on 'Iceberg' accommodating up to eight passengers. Sunset cruises is perfect for couples, friends or families wanting a very personal experience. 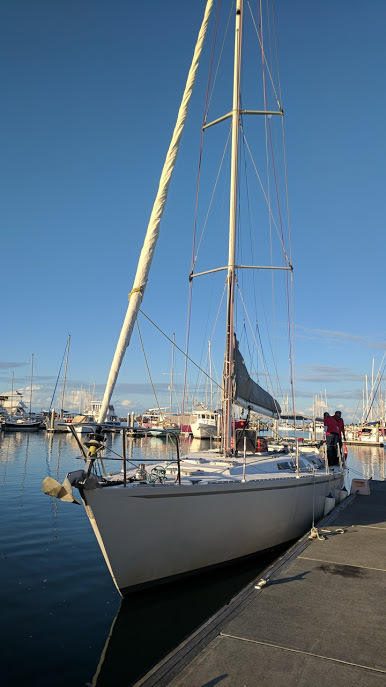 More details and for bookings contact Second Wind Sailing on 0423 142 791 or their Facebook page.